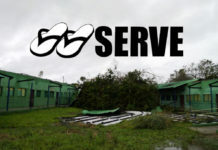 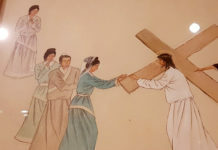 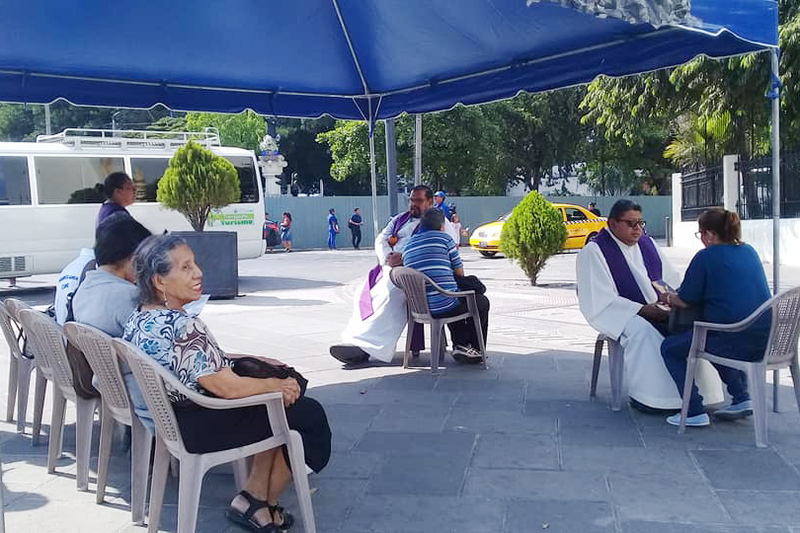 (San Salvador, El Salvador) – For the third consecutive year, the Day of Reconciliation was held on March 20, 2019, in San Salvador at Gerardo Barrios Square of the capital. 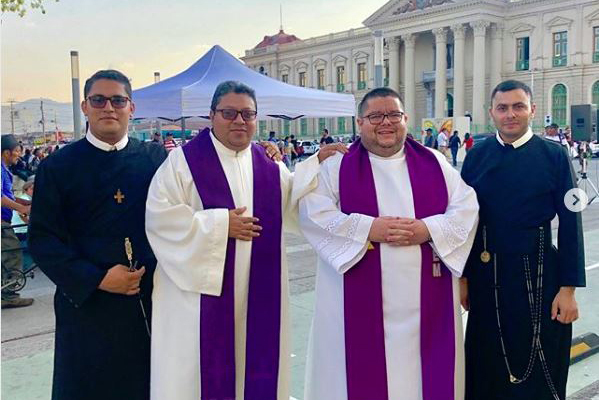 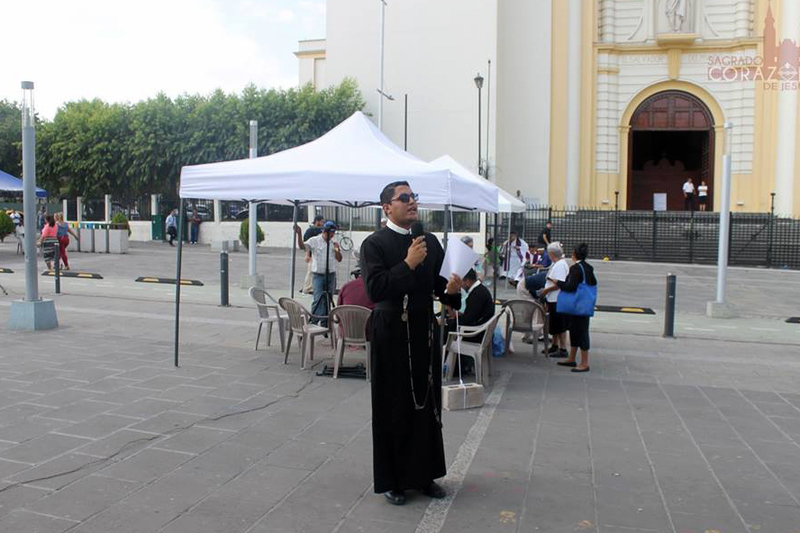 As part of a program during the Lent and with the coordination of the parish priests of the area, the Day of Reconciliation was held where the Redemptorist Fathers participated. 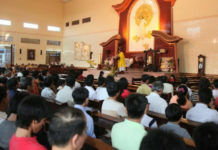 While the religious invited everyone to participate with singing, prayer and preaching, the laity distributed printed information and also motivated passers-by to make a good confession, the priests administered the sacrament of reconciliation, a sacrament that the Redemptorists have as part of their charism and ecclesial service.